Creating unique designs for your special moments. We are more than just your average flower shop specializing in reliable deliveries and customer care, we are also committed to tailoring each order to express your personality and style. Proudly serving Caldwell, Idaho and surrounding areas. Our friendly and knowledgeable staff is ready to assist you when you need flowers delivered locally or anywhere in the world. Daily delivery service to local hospitals and funeral homes is available. Whatever the occasion, let one of our talented designers create a beautiful, eye-catching fresh or silk floral arrangement that’s custom-made just for you! With over 15 years of experience, we specialize in traditional and contemporary floral design styles that are appropriate for all occasions: birthdays, weddings, anniversaries, get well, new baby, sympathy, holidays and thinking of you. Browse our wonderful green and blooming plant selection for a gift that adds life to any room or office. We also carry a vast array of locally made home decor and gift items for any age or occasion. We offer balloon bouquets, assorted candy, chocolate and gourmet gift baskets, decorative silk arrangements, home décor, jewelry, teddy bears, furniture and much more! 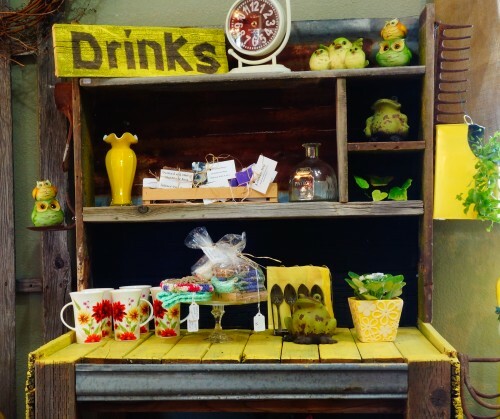 Come in to see our always changing selection of locally sourced and one-of-a-kind repurposed furniture and home decor items to express your peronality. Whether your wedding or party is formal or casual… a small gathering or the social event of the year… we can help you plan an event that’s a "blooming" success! Call to schedule your consultation. Remember, you can depend on our staff to help you choose funeral flowers for a friend or loved one. Let us create an arrangement that beautifully conveys your feelings of sympathy and serves as a lovely tribute to the deceased. 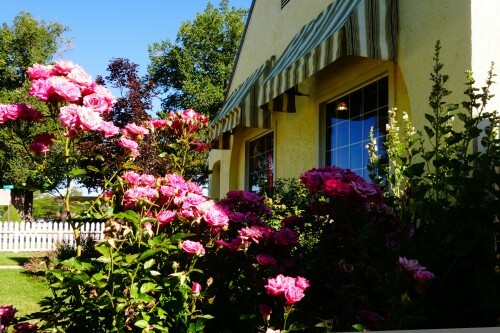 Thank you for visiting our website for flowers delivered fresh from your local Caldwell, ID flower shop, BAYBERRIES FLOWERS & GIFT!